George Lopez (C) attends Game Seven of the NBA playoff finals between the Boston Celtics and the Los Angeles Lakers during the 2010 NBA Playoff at Staples Center on June 17, 2010 in Los Angeles, California. 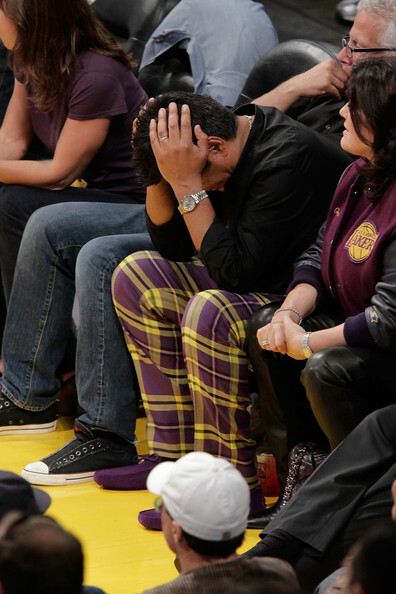 George shows his Laker's pride with a bold pair of purple and yellow plaid pants. The matching purple loafers add a nice touch! Although it doesn't look like it's helping his team too much.